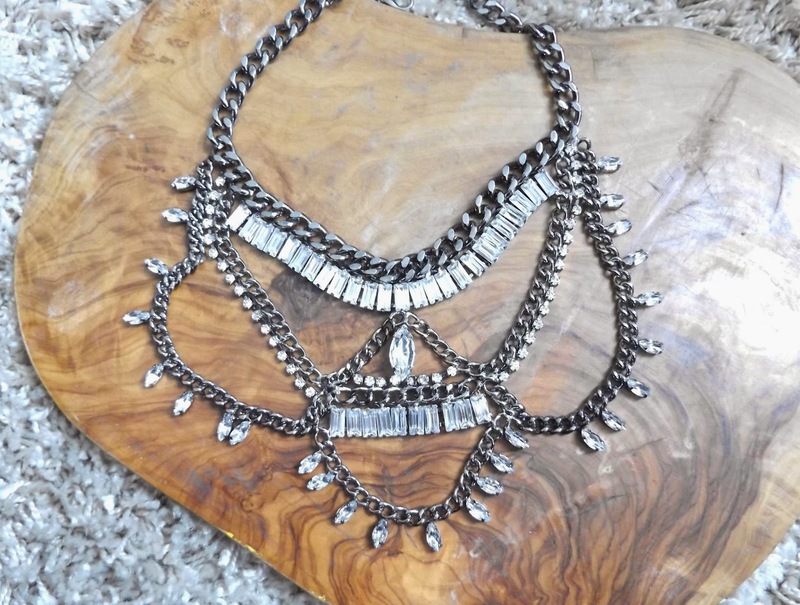 I love big a statement necklace! Especially if they are in a silver colour, edgy and somehow a bit rock chick then I find it very hard to not like them. 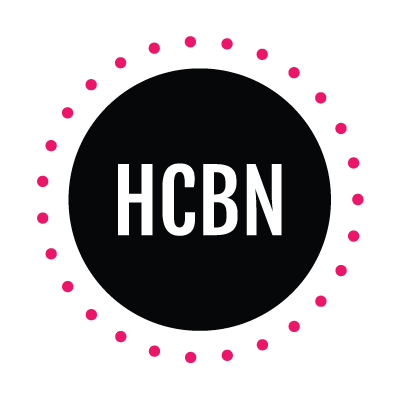 When Happiness Boutique contacted me few weeks ago, the obvious first thing I did was to check out their website and to my delight I pretty much love everything! So I was rather happy to review one of the products they kindly offered me! That was the easy part, the hard part was to choose a necklace! It probably took me a good hour (not kidding) deciding which one to choose because believe me or not they were all up my street from chic to more urban to very colourful etc. 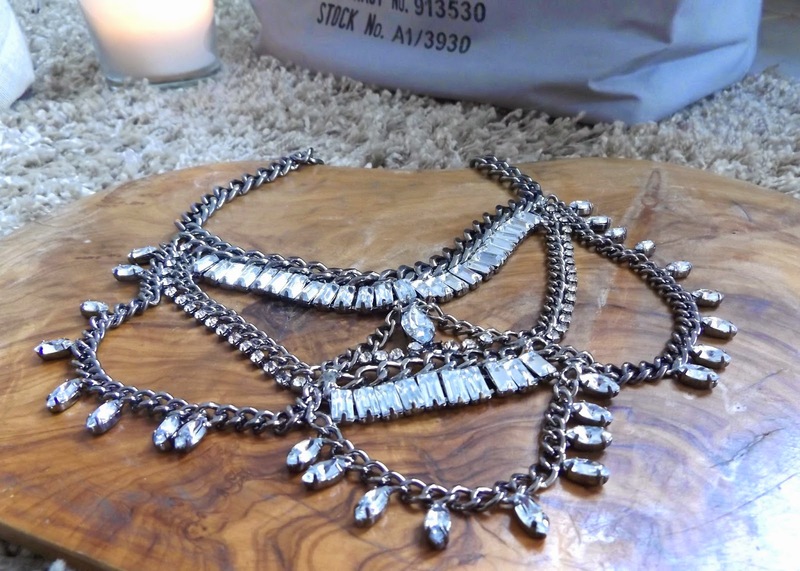 But I went for what I usually go for (Rock chic) and the one I chose is called: Urban Chic Statement necklace. First of all, I was rather impressed by the speedy delivery and my necklace arrived packed in a cute white box, all nicely wrapped in a light blue pouch and tissue paper so it almost felt like it was my birthday. Also to add to my delighted they even left a cute little message nicely written to me. I love these little touches it just makes things so much nicer. 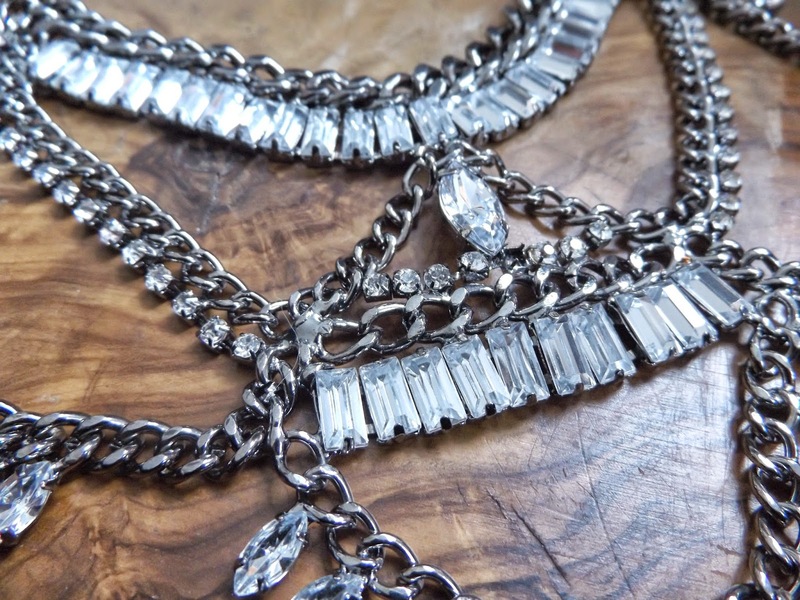 This urban Chic Statement Necklace come with a different size faux diamonté on a silvery chain of different sizes. I really love very much the dramatic effect and the big bold statement. 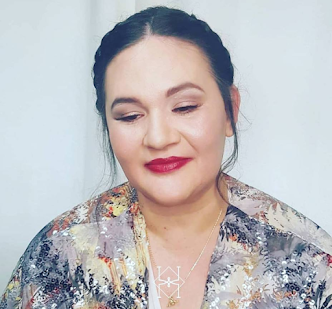 I really enjoyed wearing this necklace obviously it is not something that can be easily worn with everyday clothes but having said that it looks amazing on a simple white or black T-shirt, with a pair of jeans or black leggings with perhaps a long duster. Trust me on that one. 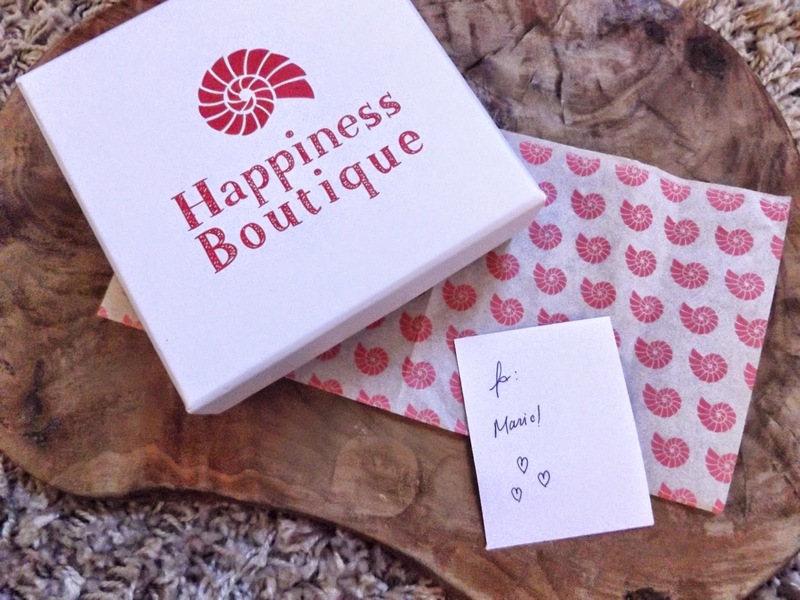 Dealing with Happiness Boutique was easy and very reliable so I felt I should introduce you to their beautiful products. Also did I mentioned they are affordable too, my necklace cost only 23.90 Euros so around £17. I almost forgot to mention that they don't do just necklaces but also beautiful sets of earrings for pretty much all tastes from edgy, to chic, to tribal, to colourful etc. basically whatever your style or if you are looking for something for a wedding or just treat yourself then check Happiness Boutique. *This post contains PR samples. This does not affect my opinion of the products.